What Are The Issues Currently Affecting Your Call Centre? Whatever sector you are in many of the issues facing call centres remain the same and ultimately as research from the States has recently confirmed, consumers are much less likely to buy a company's products if they have a poor experience when calling that company's call centre for help. 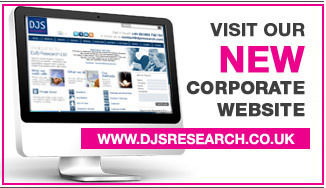 This is where DJS Research can help. Speed is of the essence - it is important to interview customers as soon as possible after they have called you - how easy is it for you to remember in detail a conversation you had a few weeks ago, unless the service you received was exceptionally good or poor? Make sure your research consultants understand your business and how you operate your call centre - invite them in for a few hours to meet the staff and listen to a few calls. It makes for a better piece of research and more fitting recommendations. Measure expectations as well as customers perceptions of the service they have received. This is where a trade off technique such as SIMALTO (Simultaneous Multi Attribute Level Trade Off) works so well. By using verbal scales such as the one illustrated below you can see that although your customers perceive your staff to be friendly and polite, they want to be treated in a way that makes them believe you value their custom. Measure customer priorities - does it matter that it took 2 minutes to get through to an operator if they managed to resolve your query there and then? Ask your consultant if they offer a fax or email alert system - if a customer being interviewed is obviously very dissatisfied with the service they have recently received from you, arrange for the research company to send their details back to you. You can then arrange for a manager to call them. It may save you losing a valued customer in the long run. Researching your customers may only be tackling one side of the story. It often pays to conduct staff research as well. You could well uncover a pressing staff training eed, a problem with staff motivation which is affecting the tone of the calls or a number of other issues which would not come to light if you only spoke to customers.